Come Diwali, and our homes are filled with fragrant and delicious but mostly unhealthy food. The endless boxes of chocolates, cakes, dried fruits, fried chips, sweets, canned soda and juices certainly complete the idea of a bustling and fun Diwali, but the mindless binging can be really harmful to the body. Fret not, for this Diwali, you can switch to an array of healthy and delicious party snacks made using the simplest ingredients. So keep the party going, dance away with joy as you successfully keep off those empty calories. If you really want to give your taste buds a real treat without piling on guilt and pounds, try this amazing hummus platter. Chickpeas, which form the basis of this middle eastern dish, is a fibre-rich legume that aids weight loss, improves immunity and stabilises your blood sugar levels. Combined with the goodness of fresh veggies like carrots, cucumbers and broccoli, hummus makes for a great Diwali dinner. 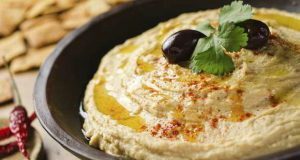 It is good for your health, takes little effort to put together and is a great way to get your family together over a big platter of hummus and veggies. Ingredients: Chickpeas, 200 gm Tahini paste, 1-2 tablespoon Garlic, 2-3 cloves, can be lightly roasted Lemon, 1 Olive Oil , about ¼ cup Salt and Paprika powder to taste Sliced Olives for garnish Carrots, sliced Cucumber, sliced Cherry Tomatoes, 100 gm Broccoli, 9-10 florets, broiled Method: Boil Chickpeas with salt after soaking overnight In a grinder, add the boiled chickpeas, tahini paste, garlic, and some reserve chickpea water. Rising Australian GP rider Jack Miller gave local fans plenty to cheer about at Phillip Island however it was Marc Marquez that prevailed in a breathtaking race, that has positioned Marquez riding on HONDA to be the favourite to win the overall MotoGP championship for the second time. The defending champion crossed the line 1.8 seconds ahead veteran Valentino Rossi who finished second ahead of teammate Maverick Vinales and Frenchman Johann Zarco. Local rider Jack Miller and The Marc VDS team Honda team finished seventh and Millers lead the race during the first four laps and was actually top 3 for much of the race until his rear tyre let him down. The race lead changed throughout as seven riders vied for the lead positions and a mere 1.2 seconds separating them as they bumped into each other making breathtaking passes on moves in all corners of the exciting Phillip Island Circuit. Rossi’s love affair with Phillip Island continued as his second was his 17th podium in 21 visits to Phillip Island, an incredible record. Last year’s winner Cal Crutchlow finished fifth ahead on the LCR Honda, followed by Suzuki’s Andrea Iannone. 2nd in the overall championship standings, Ducati factory rider Andrea Dovizioso disappointed finishing in 13th position, which extended Marquez’s lead over the Italian to 33 points. The Dutch team Nuon won the Bridgestone World Solar Challenge which was concluded on the 12th of October. The team beat at least 40 other competitors to clinch their third win in a row, after winning the same competition in both 2013 and 2015. The team took an early lead while still in Darwin, and they stayed in first place for the entirety of the race. 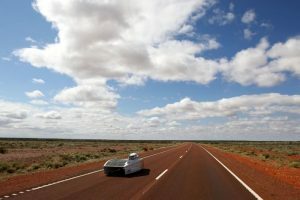 This was the 7th time that the team from the TU Delft University in the Netherlands has won the World Solar Challenge. Living up to its legacy, the Nuna 9 Solar Car driven by the Nuon team was the first to cross the finish line in Victoria Square in Adelaide. The Novum Solar Car created and driven by the team from Michigan University, came in second. Third place was taken by Punch 2, a solar car driven by the Punch Powertrain Team from Belgium. The first three teams in the Challenger category managed average speeds of 81.2, 77.1, and 76.2 km/h respectively. The 3000km race started out in Darwin, Australia with the Nuon team taking advantage of the suitable weather conditions and their experienced personnel to give themselves a sizable lead right at the start. In the age of fake news, it’s hard to cut through the click-bait clutter and find health and fitness advice from people qualified to give it. There’s a difference between would-be authorities – you know, the people who look good in gym mirror selfies and dispense product-placement focused tips to their big Instagram followings – and professionals with years of expertise working at the highest level. 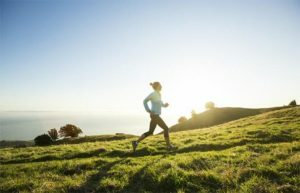 Here are four newsletters and blogs from legitimate experts whose writing and insights you can trust:Found My FitnessThere’s an awful lot of junk science out there, and even more instances of mainstream media outlets misinterpreting the latest studies and extrapolating their results to label certain foods or practices as cure-alls. In contrast, Dr. Rhonda Patrick – a PhD in biomedical science herself – interviews some of the greatest exercise scientists to glean rock-solid practical applications from their latest discoveries. H Peak Performance Writer Brad Stulberg and running coach Steve Magness wrote one of the best books of the last year, Peak Performance (which we interviewed Steve about in this story). In their weekly newsletter of the same name, they continue to provide a combination of common-sense advice and cutting-edge research on everything from cultivating positivity to developing winning habits to creating an environment that’s conducive to excellence.